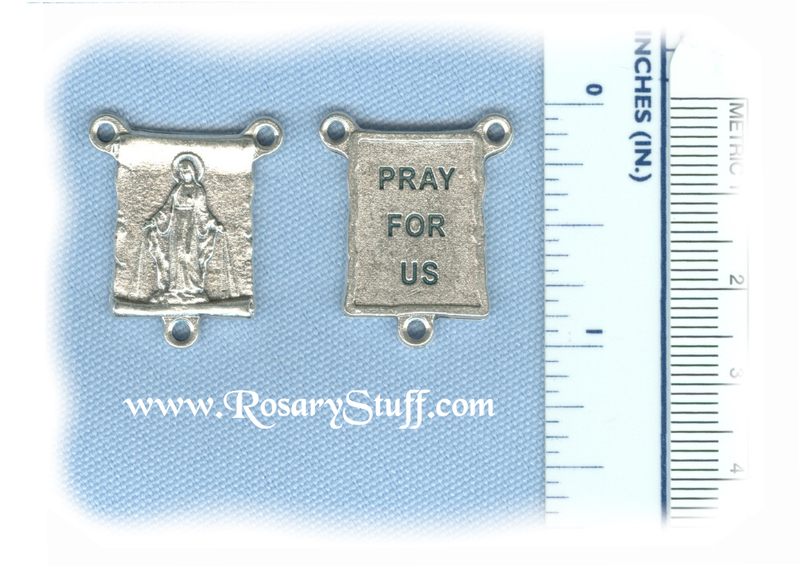 Italian silver plate Our Lady of Grace/Miraculous Scroll rosary center. The bright silver plate finish and the simple scroll design make this a very versatile centerpiece. It is about 3/4 inch tall (not including bottom ring) by 5/8 inch wide (without rings).